The EDaWaX Project today has launched two online questionnaire for editors of scholarly journals. One of the questionnaire was designed for journals without data policies, whereas the second questionnaire was created for journals that already own a data policy. After doing desktop research of more than 150 national and international economic scholarly journals regarding the implementation of data policies, we’re just starting phase 2 of our analysis for work package 2 of the project. With the two questionnaire we would like to examine whether in the journal editor’s opinion a data availability policy is useful and how it should be designed. Answering the questionnaire takes between 5 and 10 minutes – depending on the fact whether a journal already owns a data policy or not. As our readers might know, we are presently evaluating these data policies – a report summing up our preliminary results will be published in the next weeks. Furthermore, we are interested in the technical infrastructure in use as well as in models for providing research data. Legal and technical aspects also are of interest. Economic scholarly journals handle their guidelines regarding the provision of data sets and other materials quite differently. We would like to acquire knowledge about the practical implementation of such policies in these journals as well as about the experiences the editors made with their policies. Of course, responses are aggregated for analysis and made anonymous. Neither the IP address of the editors nor any personal data will be imparted to or evaluated by us. 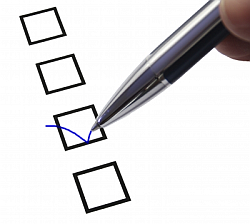 Editors interested in the outcome of the survey might provide us with their e-mail address. After completing the survey a summary of the results is send.